We're not your average development firm. UrbanCore provides turnkey development solutions, a full range of construction services, and consulting for strategic joint ventures and investments. We love the challenge of tackling complex development projects that require hard work, sharp insight, and innovative thinking. As owners, managers, investors and clients of our own construction services, we offer a rare perspective and profound understanding of the obstacles and opportunities of every project. We are also LEED AP® Building Design + Construction certified. Our team loves to come to work every day. We hire exceptionally skilled professionals for every role in the company and give them the training, professional development and freedom to excel at their jobs and deliver our clients the first-rate service they deserve. 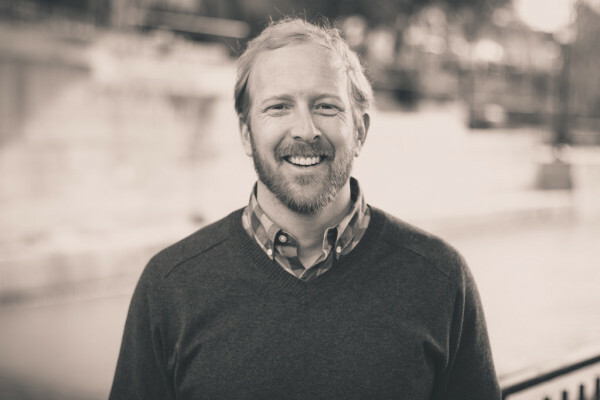 Andy Beach is a real estate developer and entrepreneur whose focus is on historic renovations and in-fill development in the greater Richmond area. After graduating from Virginia Polytechnic Institute and State University in 2002, Andy started his career with one of the nation’s largest home builders. Moving quickly though the company he gained invaluable experience in all facets of real estate and construction. In 2010, Andy co-founded UrbanCore Development and Progress Realty Group with the goal of providing quality and affordable housing options. Away from work, he enjoys spending time with his wife Lauren, and their three children Ellie, Brooks and Berkley. In his free time, he enjoys staying active through Cross Fit, running, and playing golf. Jeff Bunch has worked in Real estate for the past 10 years. He has worked for national homebuilders, real estate brokers, and investors. He spent 5 years with Ryan Homes developing his construction knowledge and project management skills. 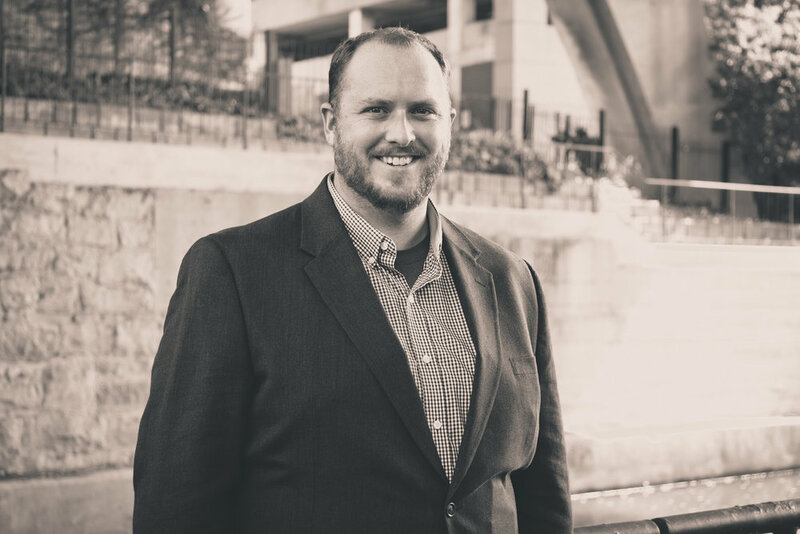 After working in the sales department, he decided to leave and become a real estate agent as well as form Progress Realty Group with Andy Beach, a real estate investment company that specializes in urban infill and renovation in Richmond Virginia. Four years after founding Progress Realty Group Jeff partnered with Andy Beach and Evan Garrison to form UrbanCore Construction. Jeff is passionate about urban housing and enjoys seeing his projects progress from start to finish. An operationally-focused senior financial manager, Andy has over 20 years of experience in the construction industry. Throughout his career, he has held leadership positions at both heavy civil and general building construction companies. Andy is passionate about process improvement with a focus on revenue growth and increased profitability through insightful financial analysis. Andy is a graduate of VCU with a degree in Accounting. When not at work, he enjoys coaching youth sports, cycling, and outdoor activities with his family. Andy lives in Midlothian with his wife Beth and their children Hunter and Harper. Jon graduated from Texas A&M University in 2002 with a degree in environmental design and relocated to Virginia to start his career in construction as a field engineer with Hensel Phelps Construction Co. After working on federal government projects, including the Pentagon Renovation, Jon moved to Richmond in 2005 where he worked for KBS, Inc. for 13 years on a wide range of projects including commercial, healthcare, adaptive re-use, multi-residential, student housing and mixed-use high rise. Jon brings a blend of project management and field operations experience to UrbanCore and is passionate about sustainable buildings. He became a LEED AP in 2002, before most people knew what LEED was. In his free time, Jon is either spending time with his wife, Erin and two boys, Draper and Gus, or training for his next triathlon. Chris Pollock graduated from West Chester University of Pennsylvania in 2011 majoring in finance with a minor in accounting. Chris started his construction career with Better Homes and Garages, a residential and renovations company in the Philadelphia area. Here, Chris acted as crew chief and project manager. After college, Chris worked for AMF bowling for one year as a staff accountant. Joining UrbanCore, brought Chris came back to his first love, building and renovations. Chris enjoys officiating basketball, watching his beloved Philadelphia sports teams, working around the house and spending time with his wife, Kelly and dog, Oden. 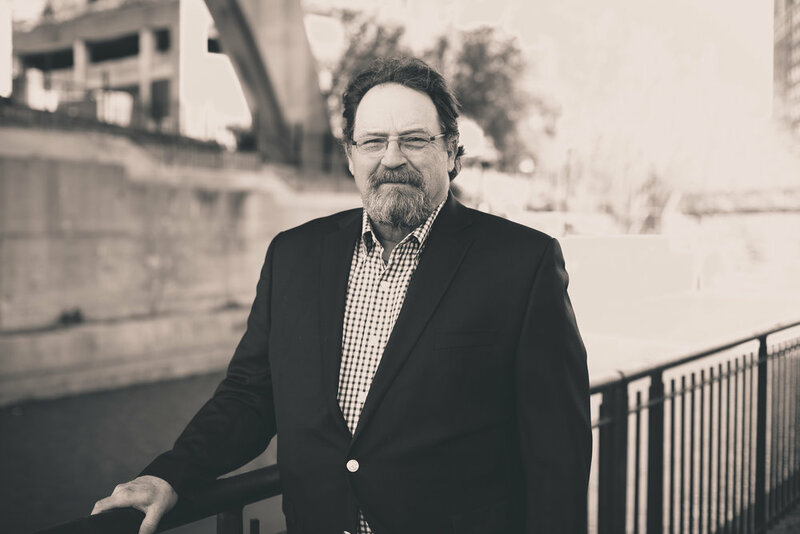 Kurt Yartz’s 10 years of experience includes residential and senior living, higher education, government/ military facilities and general commercial development. Highlight projects during his employment with WM Jordan Company include a $45 million dollar new construction design build project at University of Virginia consisting of four new dormitories after demolition of existing structures and site preparation, an $85 million dollar new construction training facility at Central Campus in Fort Lee, and senior living, independent living, and assisted living facility projects ranging from $10 - $19 million dollars. Kurt has experience with BIM modeling, Green building and LEED certifications. Derek Meyer graduated from Virginia Polytechnic Institute and State University in 2008 with a B.S. in Civil Engineering and brings with him 10 years of experience in the Construction Industry. Upon graduating, Derek started his career with Whiting-Turner as a Project Engineer working up to become a Project Manager before joining UrbanCore. Derek spent most of his career in the Higher Education field working on projects ranging from $15 million to over $70 million before a desire to help in the re-development of his home town bought him back to Richmond. He is currently studying to earn his MBA at the College of William and Mary’s Mason School of Business. When he is not at work or in class, Derek enjoys playing softball, golf, and bowling but enjoys the most, time with his fiance’ Kimberly and their dog, Memphis Belle, either walking around the neighborhood or just hanging out in the backyard. Emily, a Richmond native, attended Randolph-Macon for 2 years on a softball scholarship and is finishing her business degree at Southern New Hampshire University with a focus in Operations Management. 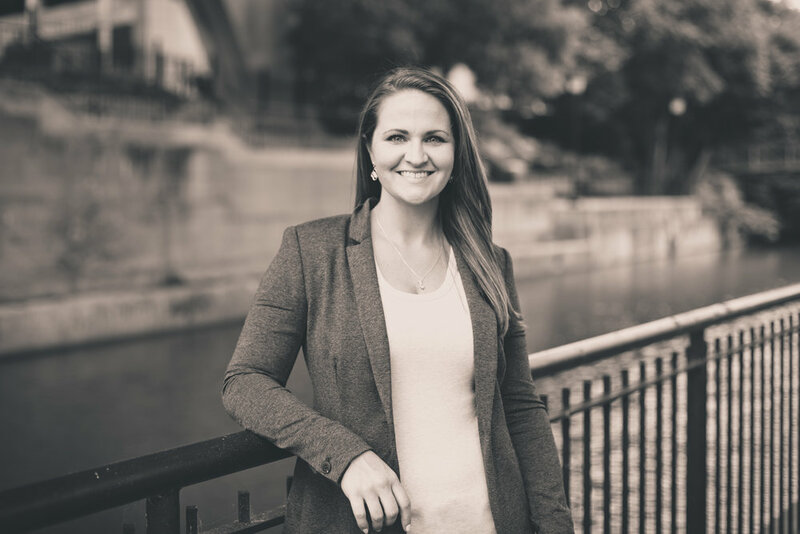 Emily started her career with Dallan Construction, a commercial construction company in the Richmond area, as both an Assistant Project Manager and Office Manager. Her experience with Dallan has allowed her to work with many local architects, property management firms, and contractors. Emily lives in the country with her husband, John and two dogs, Loeki and Baby Girl. Emily enjoys playing sports including softball, golf, and volleyball as well as any kind of outdoor adventure. Emily also enjoys photography as a hobby. Jason brings with him 20 years of experience in the construction industry. His experience includes fine carpentry, rough carpentry, remodeling, and 12 years of experience as a Commercial Superintendent. He has helped construct projects large and small throughout central Virginia including multifamily and a wide variety of commercial projects. He has worked with numerous developers, architects, and owners all over the area and prides himself on the good-standing relationships he has formed over the years. He enjoys hunting, fishing, being outside, softball and spending time with his wife and two young children. Frank moved from New Jersey to Virginia in the 1980’s. His background includes experience in carpentry, masonry, steel work and rebar work. Frank brings 30 years of superintendent experience to UrbanCore. While employed with KB Building Services, Monument Construction and Emerson Construction Frank worked on all types of commercial construction projects including hotels, retirement communities, hospitals, breweries, offices, restaurants, warehouse facilities, and retail space. Very hands-on while on the jobsite, Frank enjoys taking a project from start to finish with a sense of pride. Frank spends his free time with his wife, Erica, his four kids and six grandchildren. When he can find the time, he also enjoys fishing, hunting, riding his Harley, and watching boxing or racing. Patrick grew up on a dairy farm in western New York. After graduation, he entered the construction industry starting out as a member of the building crew and worked his way up the ladder to crew foreman. Patrick was eventually promoted to Area Supervisor to oversee multiple construction crews in the mid-Atlantic and Southeast regions. Over the past 25 years, his experiences include post frame construction, residential, light commercial, agricultural and equestrian centers. He enjoys building things from scratch, takes pride in the finished product and strives to keep his customers happy. In his free time, he likes to do woodworking projects, hiking, camping, being outside and spending time with family. Bob McClendon brings 40 years of experience in the construction industry with him to UrbanCore. Encompassing commercial office, medical, recreational, institutional (dorms and laboratories), churches and assisted-living facilities, Bob has constructed structures from California to Virginia and Illinois to Florida. Bob thrives when given the opportunity to work closely with owners, developers, municipalities, and vendors to manage the construction process - solving issues and problems inherent in every project. His projects have ranged from 2 million to 55 million. Bob has a real passion for building and enjoys being part of a successful project. He embraces working and training younger people at work or mentoring. He loves spending time with his family and Grand Children. When he’s not working, Bob enjoys the beach, boating, fishing, college football, and cooking. Originally from Baltimore, MD, Will brings over 7 years of field management experience to UrbanCore. His passion for building and managing challenging projects has served him well in the field while overseeing projects ranging from new construction to mixed-use historic renovation, including tenant-in-place restoration. Since moving to Richmond in 2016 with his family, he has focused primarily on commercial projects. A husband and father to three children, Will manages his work-home balance with a mix of discovering new adventures in Richmond, playing on the backyard trampoline with his kids, reading books and avidly following baseball. Born and raised in Virginia just outside of Richmond, Chad started his construction career as a carpenter in 2006. He worked his way up to a superintendent position in no time and while at Emerald Construction gained experience with various projects including medical facilities, pharmaceutical, retail, and office buildings. Chad takes pride in the relationships he has built with each of the numerous architects, clients and sub-contractors he’s worked with over the years. Chad dedicates a lot of his free time to volunteering as a wrestling coach for high school and youth programs in the area. He loves taking his wife and two daughters to the beach or camping in the mountains. Eva Matejkova graduated in 2012 from Thomas Bata University in the Czech Republic, majoring in Marketing Management. After college, Eva travelled extensively for three years, living in Great Britain, New Zealand and Indonesia and working in various positions in the hospitality and healthcare industries. This extensive and eclectic experience made her the perfect choice for the challenges of office management at UrbanCore. Now settled in the United States, Eva still enjoys traveling, exercising, water sports and spending time outdoors. Samantha graduated from Rutgers University in 2011. Upon relocating to Richmond, she accepted a leasing consultant position with Weinstein Properties. She received multiple promotions leading to a property manager role where she led teams of up to 16 and managed a variety a multifamily communities. She excels in budgeting, improving property performance, evaluating market trends, and financial reporting. Out of the office, Samantha enjoys being active, the beach, reading, and spending time with her husband and two rescue dogs. Born and raised north of the city, Jeff has lived in RVA his whole life. Before he began his construction career, he studied business at VCU and drafting at JSRCC. Jeff brings 15 years of construction experience to UrbanCore, with an emphasis in finish carpentry, mill work/ cabinetry, and commercial, as well as residential flooring. Thomas Cole Builders, Hodgman’s Inc, and Power Installations are three key companies which helped to shape his skills and career. Jeff likes spending quality time with his wife Crystal, their three kids, Harley, Devin, and Destiny, and their dog, Roxy. In his free time he enjoys going to the gym, fishing, barbecuing, and woodworking.